Why should you replace R22 with RS45 in flooded chiller systems? 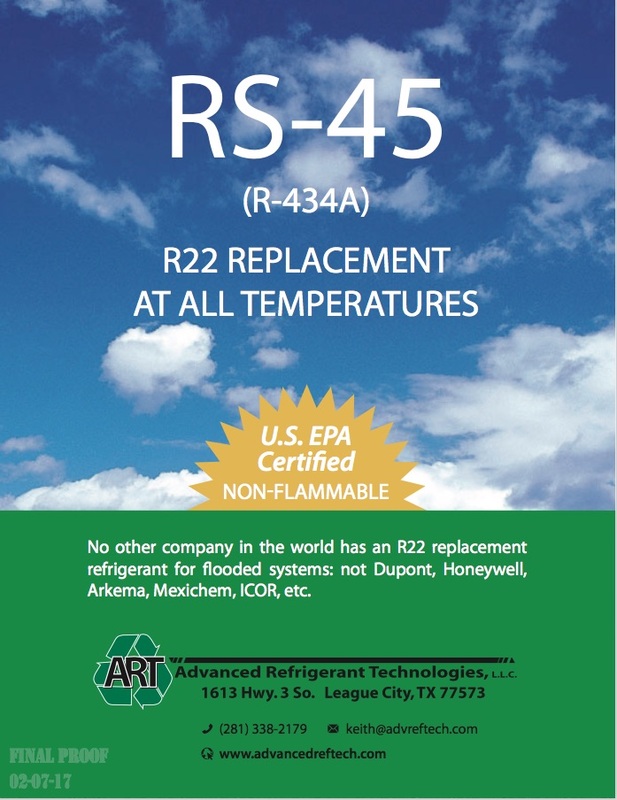 RS45 is the only TRUE “drop-in” replacement for R22 in Flooded Systems. RS45 provides LOW glide and performance qualities equal to R22. RS45 BLENDS in seamlessly with existing R22 remaining in the system. RS45 operates with ALL types of oil, INCLUDING mineral oil. RS45 requires NO system component changes. To learn more, please select one or all of the following links.